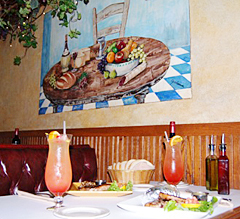 Our 40 year history is filled with great food, warmth and quality service. Accommodating family’s and groups from 2 to 65 people. Large walk ins are welcome although reservations are recommended. 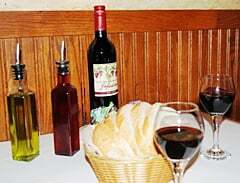 Infusino’s is a family owned and operated business that started in 1971 in their Washington Ave. location. Then moving to Rapids Dr. in 1980. 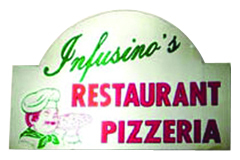 Infusino’s now has four pizzeria locations between Racine and Kenosha along with a frozen pizza distribution business, banquet hall and two bars. 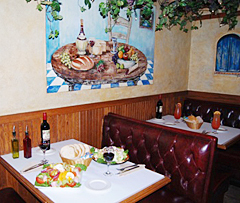 From the moment you step through the front door of Infusino’s Restaurant you will be embraced with the warmth the atmosphere has to offer. 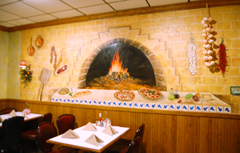 Our restaurant is not an over the top fancy dining place, just a warm and inviting place for couples, families and groups to come in and enjoy delicious homemade authentic Italian or American food. Don’t worry about leaving hungry and be sure to bring your appetite because the portions can be astounding. Here you get quality and quantity. Carry outs and catering available. We can’t wait to see you!